A business may be valued for any number of reasons. A lending institution might require it when a business requests funding in the form of a mortgage or loan. Many small businesses are run with an eye toward minimizing taxable income, but a more comprehensive reflection of income might be necessary for qualifying. Businesses also require valuation when they go public and become public companies. Insurance companies may require valuation after a disaster to determine losses in value. Most commonly, a buyer will want confirmation of a business's value when it is being sold or bought by a larger company, and this often necessitates some adjustment of its income statement. A net income or Profit and Loss statement showing the business's income and expenses over a period of time. Other financial statements may be specific to a company or a situation, like a sources and uses of funds statement for a business loan. 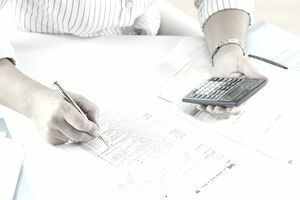 Financial and income statements must be adjusted to remove items that are unique to the current business or which do not accurately represent the business value on a continuing basis. Assets which are not part of operations are typically removed from the balance sheet. For example, assets like a corporate jet are not intrinsic to the continuing operations of a business, so these assets may be taken out of the deal. Excess cash is removed from the balance sheet if the cash is not going to be part of the deal. In many cases, the buyer wants the cash and will ask that it be retained. This is a negotiating point. Non-recurring income items and expenses are removed from the income statement. For example, a one-time sale of assets, the closing of a location, costs incurred for a lawsuit, or a one-time gain on a sale of a building might be taken out. Wages, salaries, benefits and rental income are adjusted for current levels. Owner salaries are often taken out because these are discretionary and may not be continued by a new owner. Uncollectible accounts receivable are sometimes eliminated. Liabilities that have gone unpaid and have accrued interest may be added in if they're not already accounted for in the financial statement. Removing discretionary, non-recurring and non-operating items from the balance sheet and income statement make the company's financial statements much more realistic for a potential owner to review. They give a more concise portrayal of a business's actual value for purposes of insurance claims and loan or mortgage qualification.